We have other vests available. If the vest your looking for is not on this page, please send us an e-mail and we'll see if we have it or can get it. 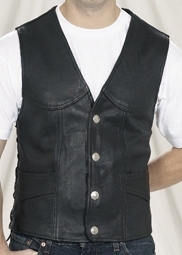 Most vests are now available in naked leather for $20 more - Please Email us for info on upgrading to Naked Leather. 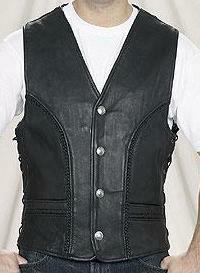 Nice heavy leather vest with braids, side laces, and buffalo head nickels. 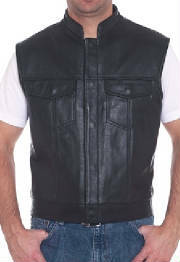 A plain leather vest at a no frills price. A nice vest for the money. 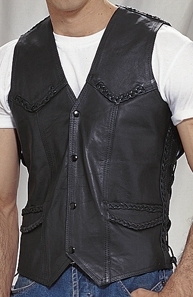 Nice heavy vest with braids and side laces. 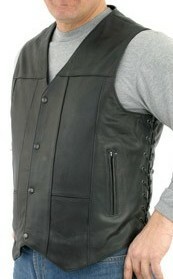 Nice heavy vest with side laces, and buffalo head nickels. 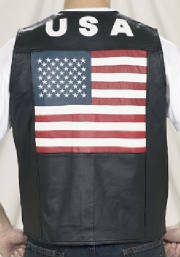 Nice leather vest with the American flag on back. "Ride with Pride". 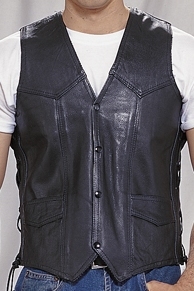 Heavy leather vest with side laces. 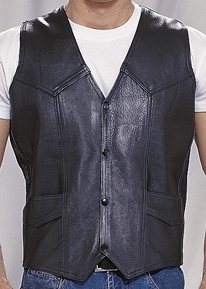 Another great heavy leather vest. Buffalo head nickels for snaps. 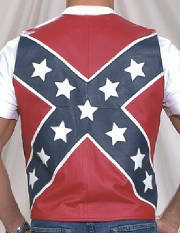 Very nice leather vest with the rebel flag on back.